Google+ users can now email you without your Gmail address, here’s how to stop it. 2. Click on the gear icon in the upper right of your screen, then click on settings. 3. Scroll down until you see “email via Google+”. 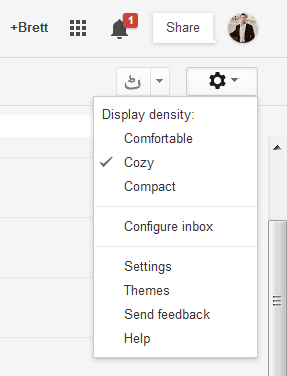 Now change who can email you with your Google+ profile by selecting one of the options. I would definitely choose at least “circles” so that you know whoever is emailing you is someone you know, or “no one” which will disable the feature. 4. Just scroll to the bottom and click “save settings” after you choose an option from the dropdown. That should do it. Your Google+ contacts shouldn’t be able to email your Gmail account anymore. If you ask me, I think this is one of the dumbest moves by Google. It almost seems like a desperate way to make Google+ relevant. Although, they’ve been desperate from day 1 of Google+ and it shows.